For Jeannie, meeting her clients’ needs is primary, and she prides herself on her diligence in being sure each buyer and every seller gets her undivided attention. She states that her motto is: “Work hard; play hard; pray harder.” When she isn’t focused on real estate, Jeannie can be found competing in CrossFit or completing a Spartan Race. 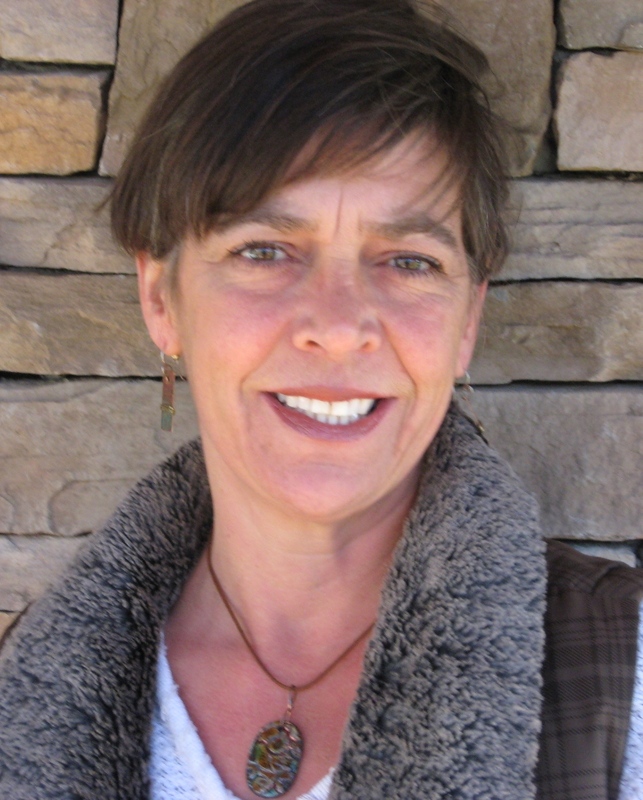 Jeannie joins 21 other Realtors who work in the Greybeard Realty offices in Black Mountain and Asheville to provide individualized care to western NC clients. Greybeard Realty and Rentals began in Black Mountain in 1999 and now has an office in Asheville as well. Greybeard Realty has numerous diverse western NC listings, and our agents are all familiar with the local community. Please contact Greybeard if you'd like to learn more about western NC homes for sale. Greybeard Realty welcomes Realtor Alejo Rottenberg who joined the Black Mountain-based real estate company on September 12, 2017. Alejo joins 20 other Realtors who work in the Black Mountain and Asheville offices to provide individualized care to western NC clients. Alejo, a native Argentinian, has been working in real estate in western NC since 2014. He arrived in NC in 2009 after relocating from Florida where he started and later sold a successful graphic design business. 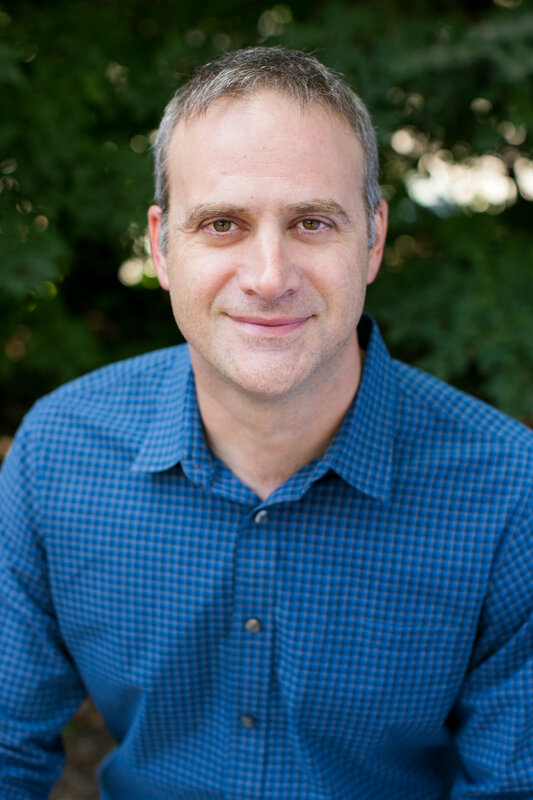 As a dedicated father of two, Alejo participates in numerous community groups and loves hiking, particularly on the Blue Ridge Parkway. With his vested interest in the area he lives in, Alejo can assess the needs and wants of each of his clients and knowledgeably direct them toward a particular community and house that fits them. “I work with each client to be sure they find a home, not just a house,” Alejo says. “In addition to the number of bedrooms and the acreage, it’s important that a house matches a client’s interests. Often times, I end up suggesting a particular trail I’ve enjoyed or an organization I’m familiar with for people relocating to the area. Western NC offers such broad amenities. I make sure I know what’s going on in each community so I can best direct my clients." As proof of Alejo’s varied interests, in addition to being a Realtor, he finds time to be a soccer player, a medical massage therapist, and a glassblower. Alejo looks forward to introducing his new clients to all the possibilities that western NC provides. To get an idea of what's on the market in the greater Asheville area, take a look at Greybeard's exclusive listings page. Greybeard Realty and Rentals began in Black Mountain in 1999 and now has offices in Black Mountain and Asheville. For more information, please contact Greybeard Realty. Greybeard Realty of Black Mountain announces the addition of Leigh Glenn Lunsford, our newest Realtor. Leigh joins our other 20 brokers, each with a special NC mountain connection. Leigh Glenn Lunsford, a fifth generation Black Mountain native, knows our local area well. An Owen High School graduate, she attended Queens College in Charlotte NC before transferring to Appalachian State in Boone, NC where she graduated with a degree in Biology with a Chemistry minor. After graduation, she returned to Black Mountain and opened Riddles Flower Shop that she owned and operated for 20 years. Leigh is excited to use her familiarity with the local area to help new clients find their special home. "I feel very fortunate to live in such a beautiful, serene place myself," she says. "I'm looking forward to assisting other people who want to relocate to our incredibly peaceful area." Leigh is married to Jamie Lunsford, also a Black Mountain native and owner of Jamie Lunsford Construction Inc. In her spare time she enjoys cooking, gardening, canning and spending time at the Lake James house that she and her husband own. She has always possessed a strong love and compassion for animals, especially her dogs. 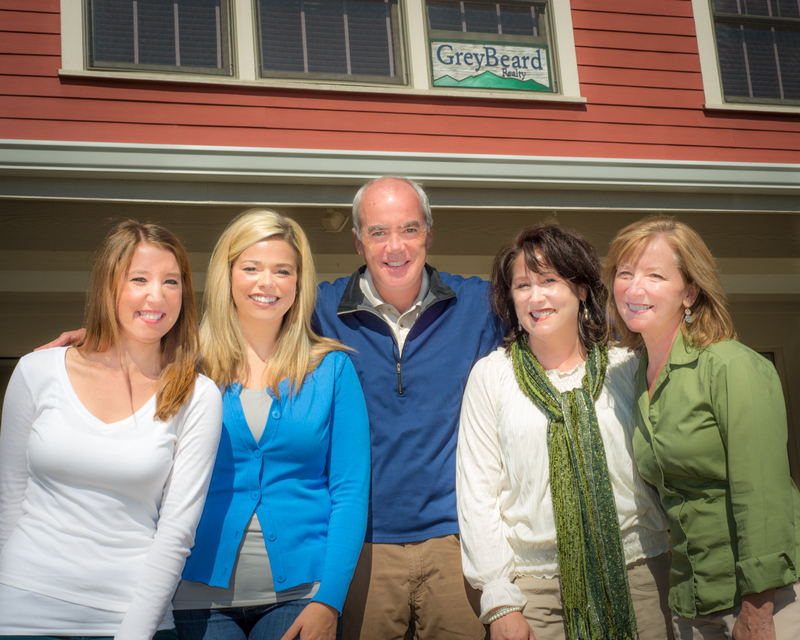 Greybeard Realty, established in 1998 by founder and president Chip Craig, serves the western NC area with offices in Black Mountain and Asheville. In addition, Greybeard Rentals manages more than 350 area rental homes for vacationers and long-term renters. Please contact Greybeard Realty for more information. Greybeard Realty welcomes Annie Singletary, a Realtor, who joins the full-service real estate company this month. A 14-year Black Mountain resident, Annie becomes part of Greybeard Realty and Rentals, a home-grown realty company committed to providing individualized, personalized care to its clients. "We are fortunate to have Annie joining our other 15 Realtors right now," says Chip Craig, president and company founder of Greybeard Realty. "With her creativity and community experience, Annie brings local knowledge that will benefit our clients, both sellers and buyers. In particular, Annie's artistic eye will assist sellers in getting their homes ready for the market and let buyers understand a property's potential." Annie's first Black Mountain experience was as a Camp Merrimac camper in the summers. After getting her BFA in ceramics from UNC-Asheville, Annie settled in Black Mountain. In addition to teaching classes at the Black Mountain Center for the Arts and the Odyssey Center for Ceramic Arts in Asheville, she has managed her own pottery studio. Her husband, Dan, is director of Black Mountain's Camp Timberlake. Her family, including her two sons, enjoys participating in the varied outdoor activities offered and appreciates the cultural heritage in the area. "My love of people, the area and all things creative are what steered me to a career in real estate," Annie states. "I look forward to helping each person on their path with buying or selling a home by making it a smooth and joyful experience." Greybeard Realty and Greybeard Rentals, with offices in Asheville and Black Mountain, has 173 total property listings and manages 339 rental properties, including 170 long-term homes and 169 vacation rentals. Greybeard Realty, founded in 1999, has offices at 204 E. State Street in Black Mountain (828-669-1072) and 4 Olde Eastwood Village Blvd, Suite 207G in Asheville (828-298-1540). For more information, please call or visit Greybeard Realty. Admit it. Being in Asheville just brings a smile to your face. Apparently, you aren't alone. Results of Conde Nast's Annual Readers' Choice survey announced this month indicates that Asheville is a top ten choice as the happiest city in the US. Asheville recognized as special happy place. In addition to citing the friendly people and incredible beauty of the city, the blurb announcing the award also notes the arts, farm-to-table fare and the local beer scene. In receiving the recognition, Asheville joins some other great cities including New Orleans, Telluride, and Charleston. This survey only confirms the data collected in a research study reported in Greybeard's blog that Asheville is a happy place. For those of us who call the Asheville area home, it brings great pride to get some national attention for the special small-town feel that exists here. For anyone considering Asheville as a relocation spot, we encourage you to come have a look around. See our recent blog on the Asheville spirit and view the video link. 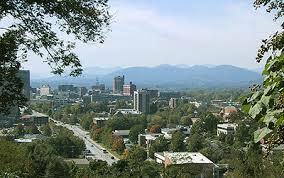 For an additional overview, we have a brief description of Asheville on our website. But probably the best way to truly experience the happy phenomenon that is Asheville is to plan an Asheville vacation to see for yourself. 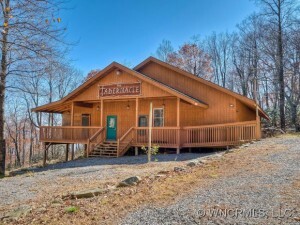 Visit Greybeard Rentals to choose an Asheville area rental cabin. If you're ready to consider a move, browse through Greybeard Realty's Asheville listings. We're willing to be that just seeing the possibilities will bring a smile to your face. The Asheville area has made another "best of" list, making it as one of the top six best winter drives in North America. While often recognized for its spectacular autumn colors, the Blue Ridge Parkway receives less attention for its winter splendor. An article by Terry Ward on Centurion's online site highlights this local splendor. 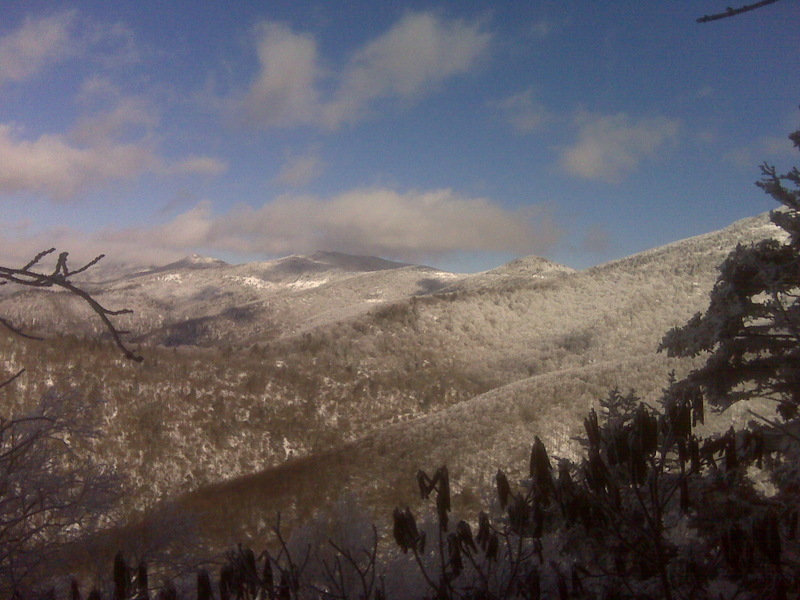 In making her recommendation, Ward points to Mount Mitchell State Park, the highest peak east of the Mississippi River, as a particularly scenic spot in the snow. She rightfully notes that the Parkway is closed when conditions merit. The Parkway updates its road closings regularly on the Blue Ridge Parkway website. While driving during the snow may not be possible, the snow always lingers on the mountain tops long after the snow has stopped falling, so there's always time to take in the snow-capped scenes. For locals, it is often easy to overlook the uniqueness of where we live. In the bustle to get where we are going to work or to shop, for example, we don't always take the time to appreciate the natural beauty around us. And for those of you who wonder what it's like to live here year-round, we highly recommend a trial run. As Ward points out in her brief piece, there are abundant mountain rental cabins in the Asheville area that will let you give living here a try. Why not make a reservation now to see our idyllic views first hand. Greybeard Realty announces the opening of an additional office, in Eastwood Village in the growing Fairview community. With its proximity to historic Asheville, this full real estate sales office will provide personal service from staff and Realtors who are all NC natives with extensive experience in the western NC real estate market. Greybeard's staff and Realtors have local roots. When Greybeard Realty opened in 1999 in Black Mountain, founder Chip Craig made a commitment to providing individualized service in the rental market and then the real estate market as well. At present, Greybeard ranks in the top 10 for Buncombe County real estate companies and also manages more than 300 rental properties. For Chip, the additional office location is a natural fit for his company. "We felt it was time to expand our real estate offerings, and the growing Fairview community was a good fit for us." To see Greybeard's current listings for Fairview, please see our Fairview listings webpage. Rosie Johnson, managing broker at the new office, grew up in Black Mountain and has worked at Greybeard for the last 12 years. As she has worked in the last few months establishing Greybeard's office in Fairview, she has been struck by the strong sense of community she has encountered. "I am very excited to be a part of Greybeard's expansion into Asheville and the Fairview area. I have already been very impressed with the communities and networking here." If you're in Fairview or the Asheville area, please stop by Greybeard's newest office, located in Eastwood Village, Suite 207G (upstairs). 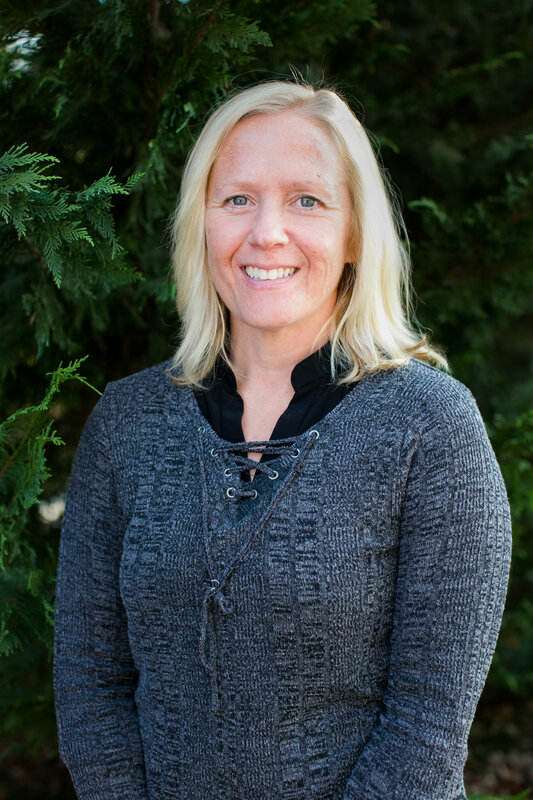 Rosie and her staff are excited to share their expertise in the area and continue the diligent work they have been doing for Greybeard Realty. And keep an eye out for the January Open House; plans are currently underway with an announcement forthcoming shortly. A recent readers' choice survey in Conde Nast Traveler rated Asheville one of the friendliest towns in the United States. The survey asked readers to rate US cities on a number of qualities including "friendliest", and Asheville placed fourth in the survey. Won't you be our Asheville neighbor? Asheville visitors who participated in the survey not only ranked the cities but also provided comments as to their choices. Glancing over their observations, it is very difficult to disagree with their statements. One reader observed the city has "hidden treasures around every corner." Another credited the high scoring with Asheville's great combination of "free thinkers and Southern hospitality." The magazine itself points to our remarkable local art scene and local microbreweries as another compelling reason to visit the city. With our own experiences in the River Arts District and our research for our blogs on microbreweries in the area, we have to say we agree. The magazine goes on to talk about our "great locally sourced food and friendly people". And while the survey respondents were Asheville visitors, the greatest attraction seems to be the city residents. According to Conde Nast, "above all, it's the "conscientious locals" who truly make this "welcoming" metropolis a "fun, quirky place to visit." To that, we at Greybeard Realty say, "hear, hear!" We couldn't agree more that Asheville locals are what make this place so special. For those of us who already live in this area, give yourselves a pat on the back for making Asheville such a friendly place to be. 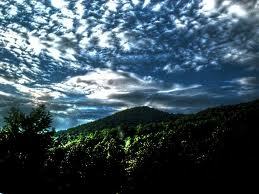 And for those of you who are considering Asheville as an option for relocation, what are you waiting for? Come on! 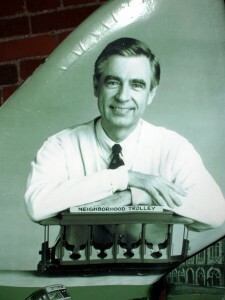 Won't you be our neighbors? Greybeard Realty agent Scott Russell and Asheville professional photographer Gary Leive had their names in a Wall Street Journal story about camps for sale across the United States. Russell, the agent listing the Black Mountain camp property, mentions the tremendous potential for the property, and Leive gets credit for the photos that appear with the story. The property, featured in a Greybeard blog earlier this year, was built in 2002 as a faith-based retreat but could easily be converted into a primary residence. Built on 83 acres, the main building with numerous cabins occupies only a small portion of the land. Because of that, the property has plenty of room for further development. For more information about the featured campground, please see 66 Great Aspen Way. If you've always wanted to move to the Asheville area and start your own business, this may be just the property you've been looking for. And if you have something a little different in mind for your next career, check out Greybeard Realty's commercial real estate listings and see what else catches your eye. Greybeard Reaches A Milestone; Is it Time For Your Asheville Retirement? If buying an vacation cabin now for a later Asheville retirement is on your to-do list, you may appreciate knowing that Greybeard Rentals, the rental arm of Greybeard Realty, just passed a major milestone. Greybeard, a home-grown company that only lists homes they would like to rent themselves, just surpassed the 30,000th reservation mark. Retire or retreat, Asheville can't be beat. Greybeard Rentals has received recognition for its fine quality property management and strives to prepare each Asheville rental cabin with meticulous care for its guests. Prior to each new guest arrival, each rental home is given a personal inspection to ensure it is in pristine condition. To welcome each guest, Greybeard Rentals leaves a loaf of freshly-made pumpkin bread. Their commitment and attention to detail are only one aspect of Greybeard's property management plan. So, why would a real estate buyer want to know this information? First of all, as noted before, renting an Asheville home is a great idea if you are considering buying a home to help you assess each community's assets. In addition, if you have been thinking about buying a home in Asheville for retirement later, now could be a great time to do so. As these Asheville real estate market statistics indicate, the market is solid and headed upward. It's a great time to consider buying an Asheville home. So why does it matter that Greybeard Rentals has reached this milestone? It shows that Asheville renters appreciate Greybeard's quality rental homes. And it may just be the impetus you've been looking for to head on up this way and buy a piece of property in the happiest city east of the Mississippi. Come see what 30,000 other renters have already come to learn: Asheville and its environs are a great place to be. For more information on renting an Asheville home or to speak with a member of our property management team, please contact Greybeard Rentals. And if you're ready to invest in your own Asheville home, then contact Greybeard Realty.